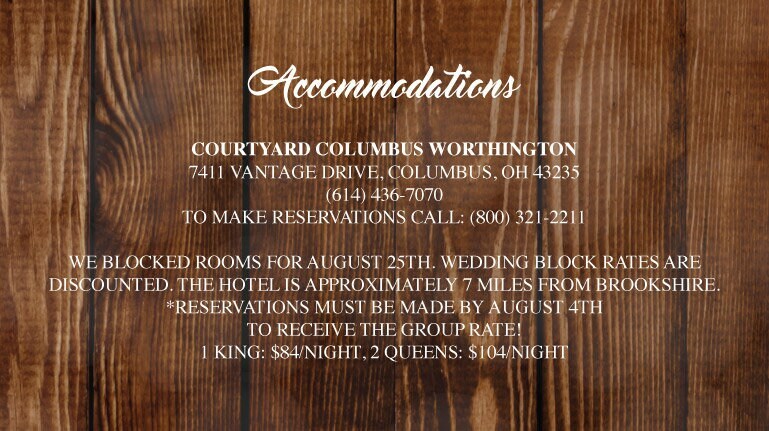 * 2.75 x 5 inche single-sided wedding info cards designed to mach the invitation design you have purchased from us. 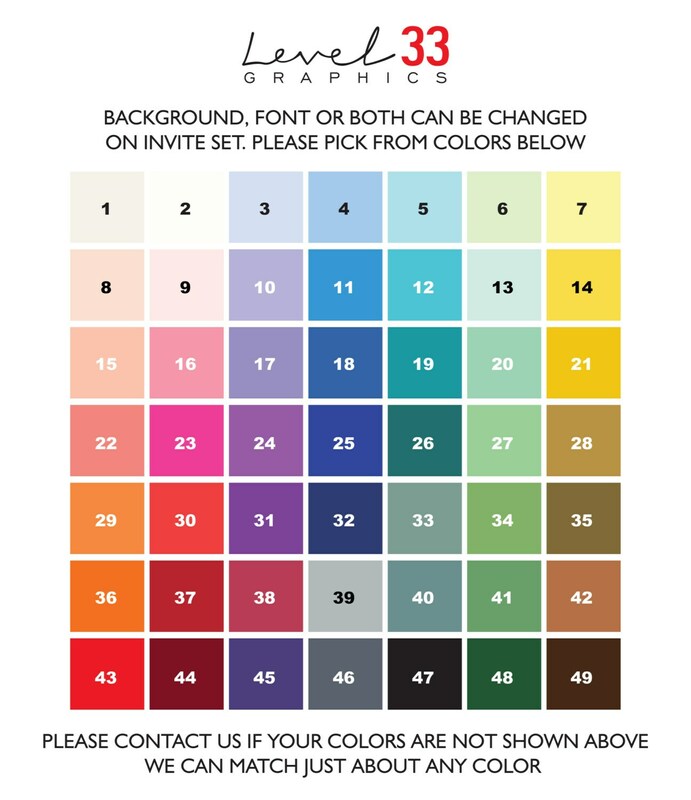 * All wedding cards will be high quality printed on 110lb/270 GSM Cougar Cover white card stock. 2. PROOFING - Upon receiving your order confirmation and complete wedding details, we will email you a link to the first proof version for your review and comment, normally within 1 business days! If you need any changes, We will make it UNTIL YOU'RE HAPPY with them. 3. APPROVE THE PROOF - Upon your final approval on the designs, we will then print the order and mail them to you with in 3 business day! 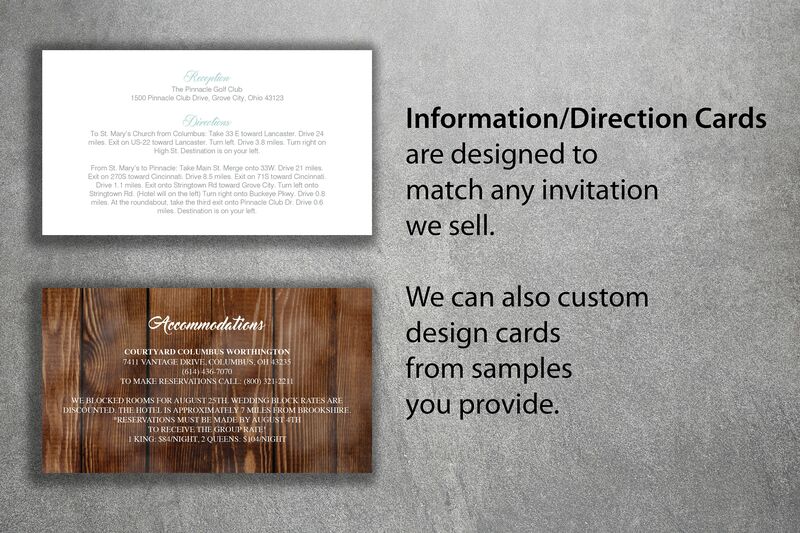 Our invitations turned out great and the customer service was easy to work with. Thank you! I ordered save the dates from them too and am satisfied with these as well! They came in a timely manner and they look amazing!